Leading In San Jose – Students are organizing a Learning Tour for school principals, staff, and district leaders to see what a Relationship Centered School looks and feels like, and to open up a dialogue between Oakland Unified and East Side San Jose. This is the first step to implementing their district-wide Relationship Centered Schools Initiative which was approved this year by the ESUHSD board of trustees. Celebrating– In Long Beach and Oakland – Students have collected over 400 nominations to recognize teachers who have gone above and beyond to create meaningful relationship centered spaces for their students. “My math teacher helped me with my math skills. He made me think I can be a good in something I doubted myself in. He is also kind and nice to talk to freely.” – Adriana Cruz, a student in Oakland Unified School District. Taking Action In Fresno – In addition to passing a historic resolution to designate the school district as one of the first Safe Havens in the central valley, they have worked with the district to engage 100’s of students through their LCAP process to identify meaningful relationship building as one of their top priorities for next year’s budget, a priority echoed by Interim Superintendent Bob Nelson in a recent meeting with CFJ student leaders and staff. 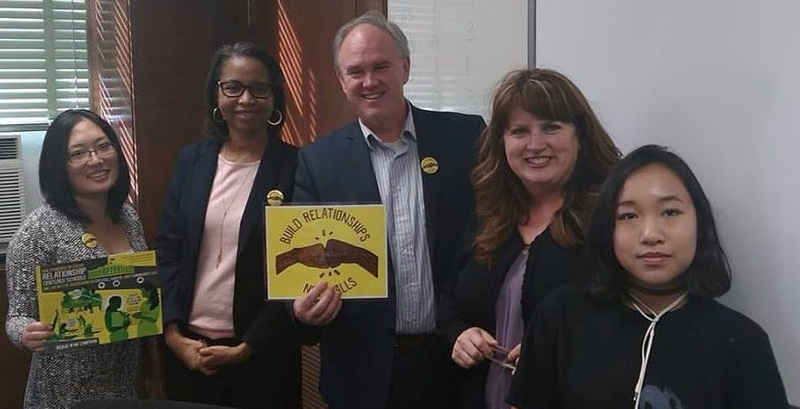 In Long Beach – Students convened Superintendent Steinhauser, Cabrillo High School principals, and students to chart a shared vision around creating Relationship Centered Schools through a 3-year investment in Restorative Justice at Cabrillo High. This school year has been a powerful example of what students are able to achieve through collective leadership, appreciation, and action with our school staff, district leaders, and elected officials. 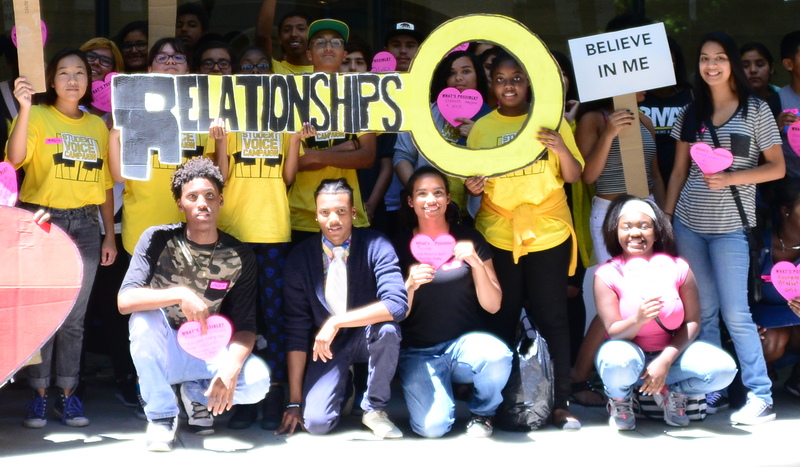 As Relationship Centered Schools take hold across the state – from individual school sites to district-wide initiatives, CFJ student leaders are moving our schools towards a system where every student has a caring adult on campus and is able to reach their full potential regardless of race or zip code.